The Medicine Wheel or “Sacred Hoop” is an ancient symbol used to depict the never-ending cycle of life. It is a tool used by many Indigenous tribes to teach a variety of subjects. Buffalo Star People utilize the Lakota Medicine Wheel as a Model of Holistic Health. The four color quadrants represent our physical, intellectual, emotional and spiritual aspects of well-being, with the center point depicting perfect balance and optimum health. Imbalance or diseases can occur when we focus our energies on one or more aspects, and ignore the needs of our whole being. 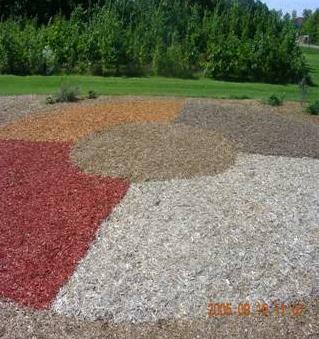 The full cycle of the stages of life, is also depicted by the Medicine Wheel. The northernmost, or white quadrant, represents birth through toddlerhood, where one’s focus is on learning to use our physical bodies, such as learning to suckle, to grasp, and to walk. The easterly yellow quadrant symbolizes children’s thirst for intellectual knowledge and gaining education. As we move into our more adult cycle, depicted by the red quadrant, matters of the heart or emotional aspects of our being begin to be more salient. Finally, reaching the status of elder, the black quadrant, spirituality takes on even greater significance as we ponder our mortality. Buffalo Star People utilizes the Medicine Wheel approach by focusing on holistic balance and harmony to maintain sustainability and bring strength and wellness to the People.